Start by buying a ​Hue Bridge and a few Lights. 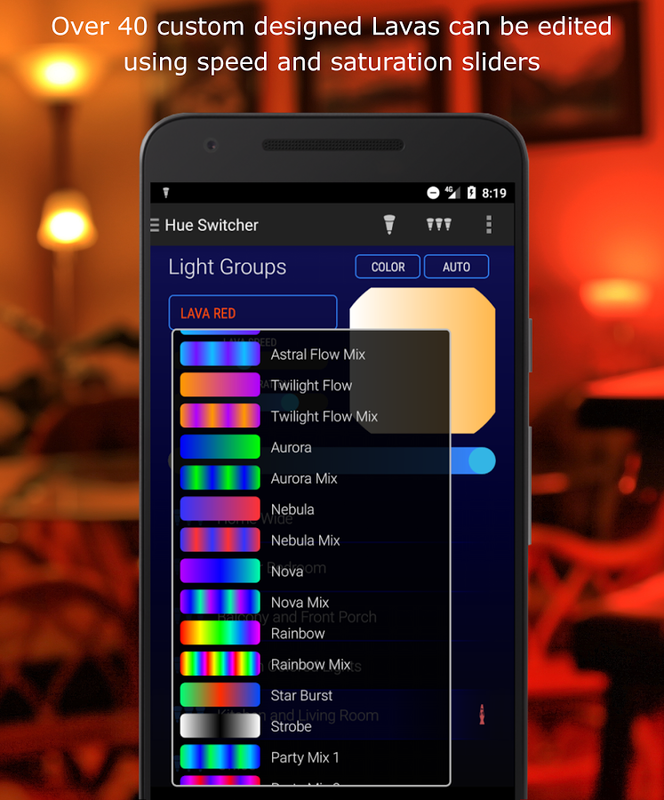 Then download Hue Switcher for free and take a giant leap into the future. 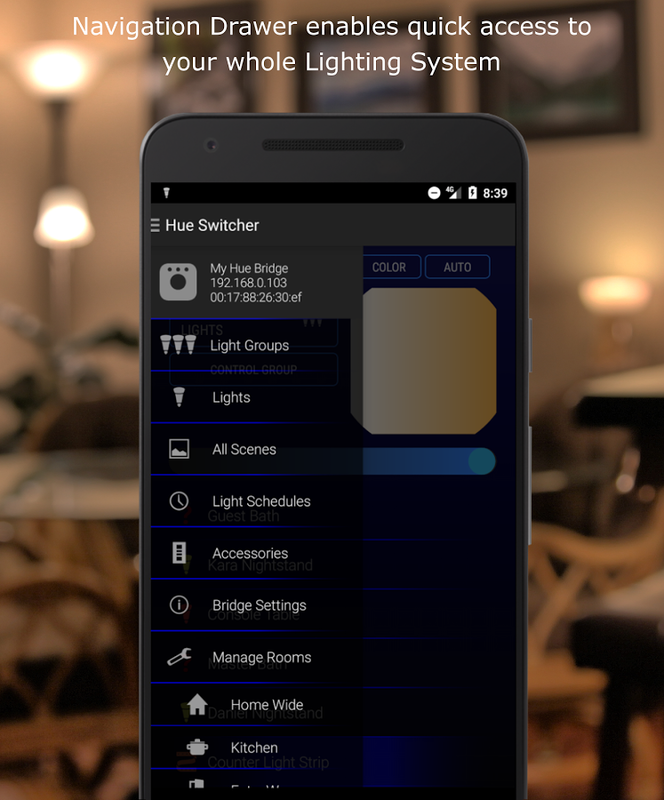 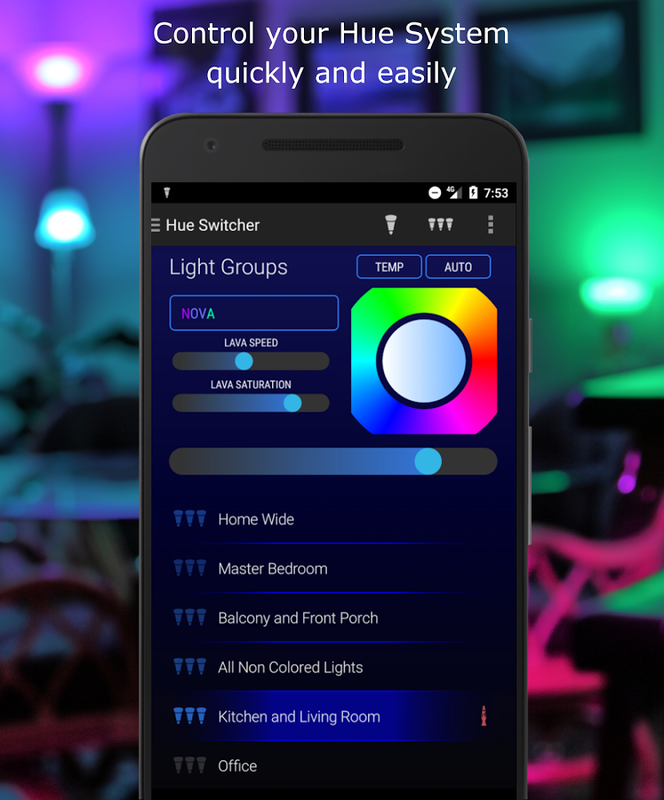 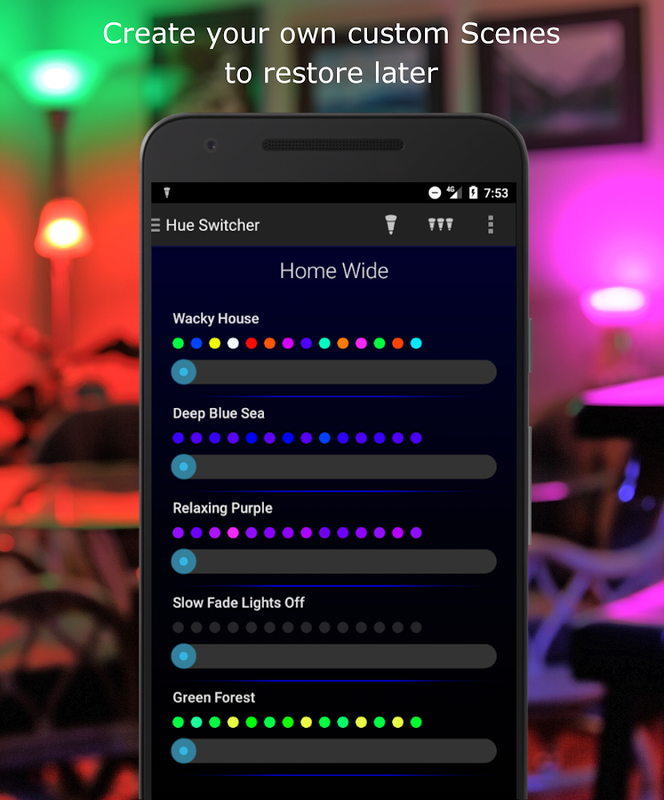 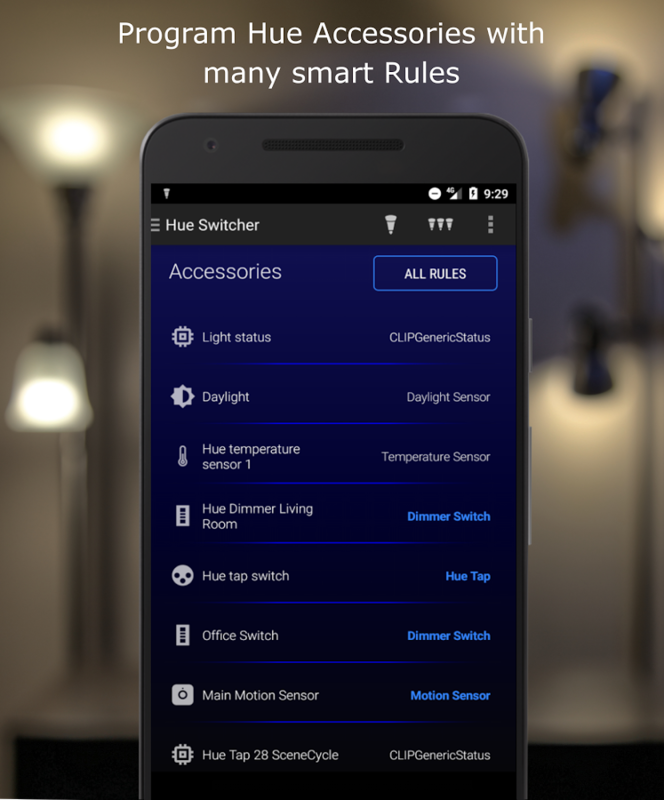 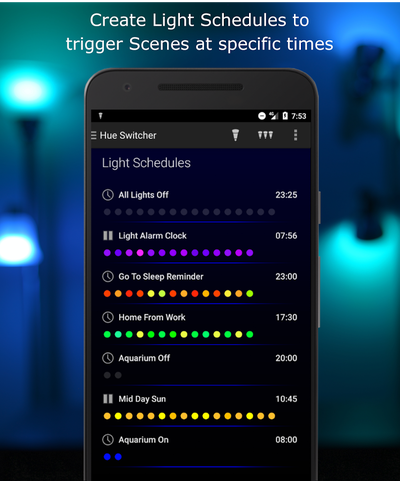 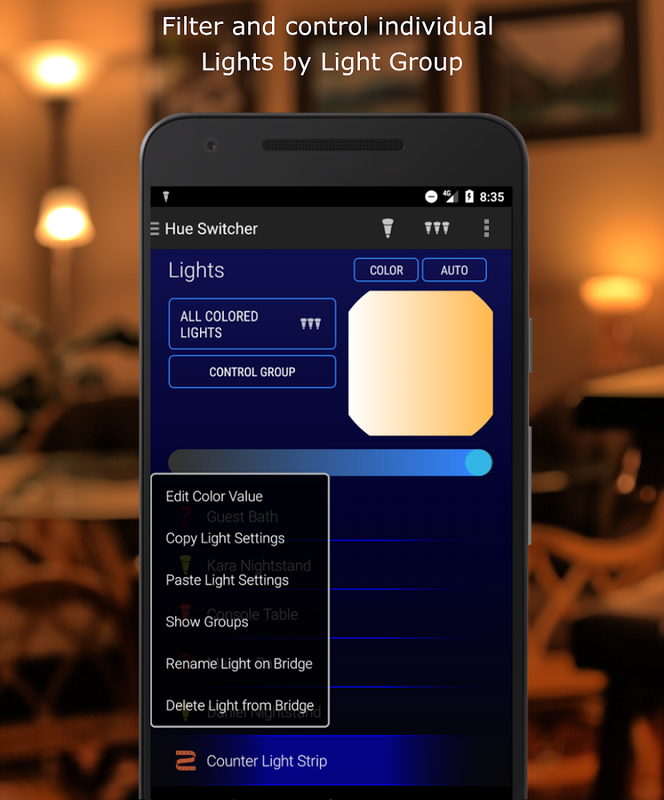 The Hue Switcher App has been built from the ground up to make the act of taking out your phone and controlling your lights effortless.